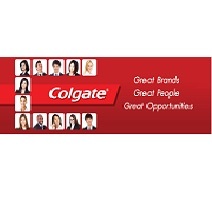 Colgate-Palmolive Company is a $17.3 billion global company serving people for more than 200 years with consumer products that make lives healthier and more enjoyable. We are among the world�s most trusted and recognized brands, serving hundreds of millions of consumers across over 220 countries. Our world-class products include Colgate, Palmolive, Care, Laser, Speedstick, Irish Spring, and Hill�s Pet Nutrition.